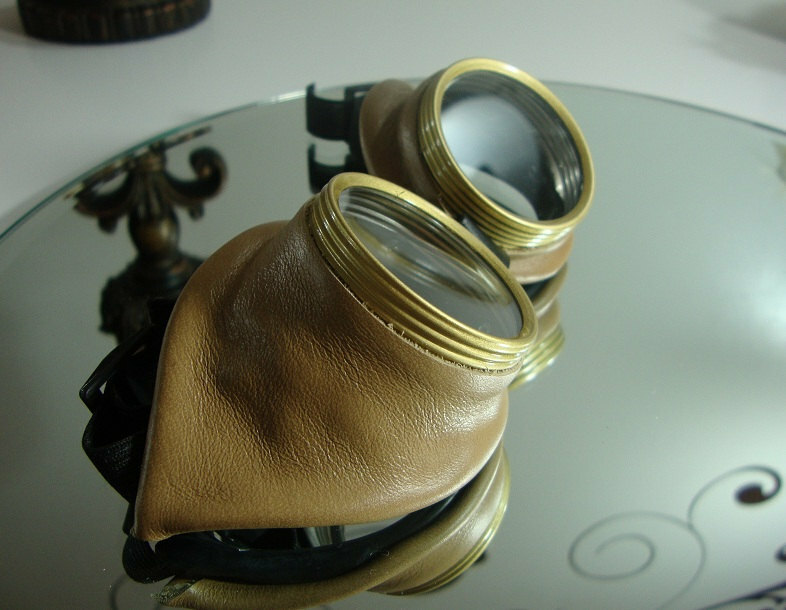 Tan faux-leather motorcycle style goggles have clear lenses and a thick comfortable strap for easy wearing! 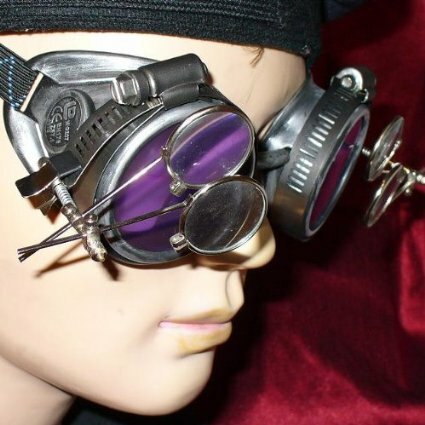 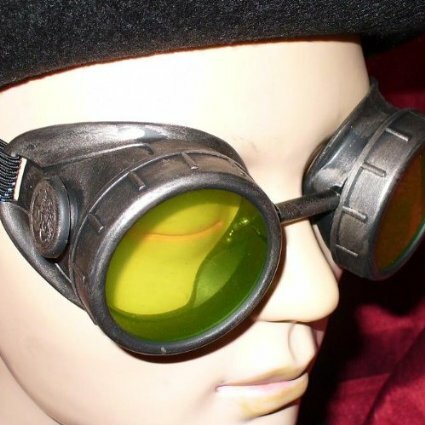 These tan, faux leather motorcycle style glasses will pull off any “hot rod” Halloween look you go for this year. 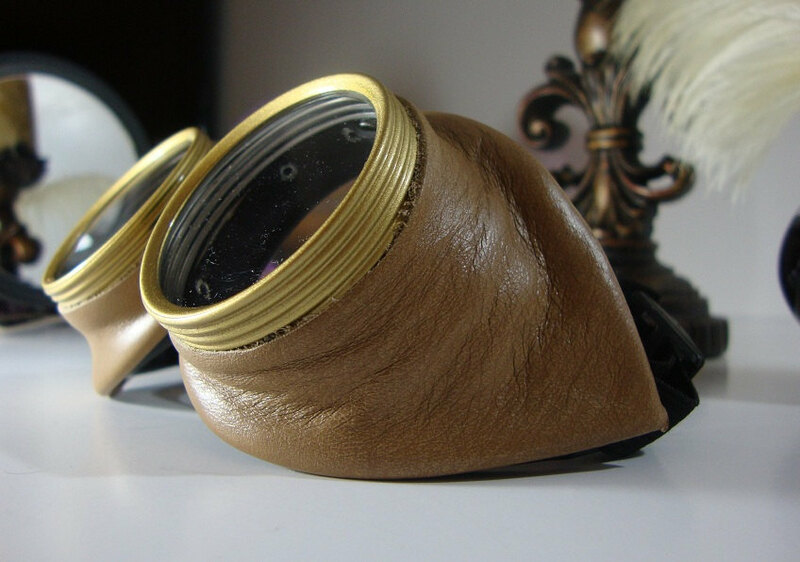 The brass colored frames ware the perimeter clear lens, so even when worn directly on your eyes, you can still see and look awesome without a worry. 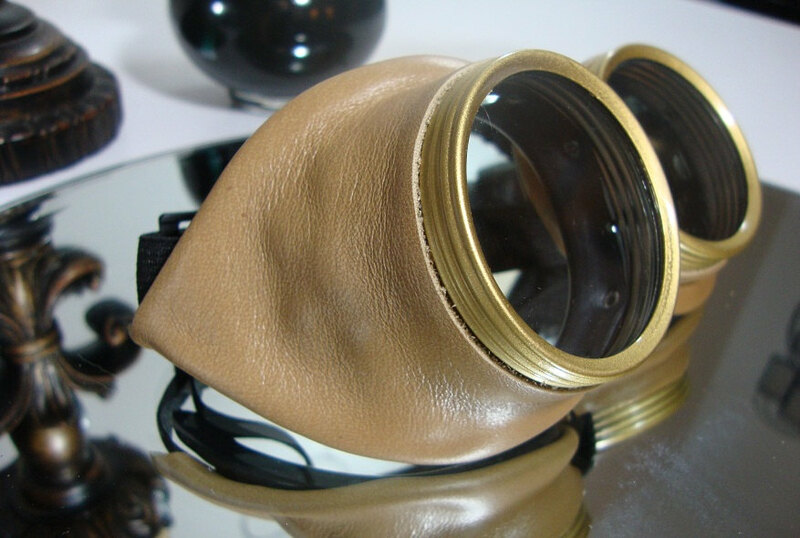 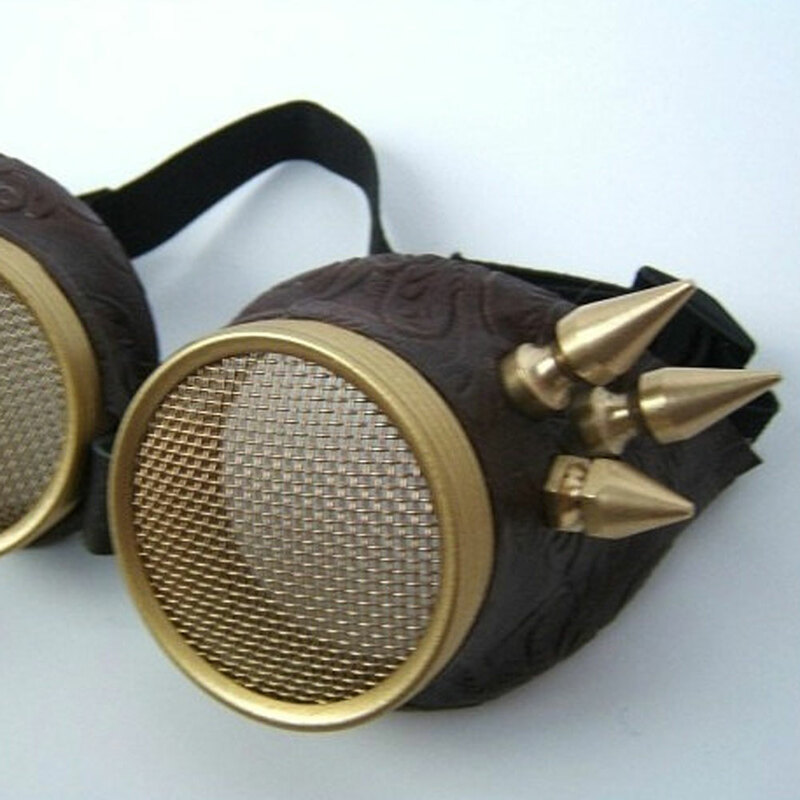 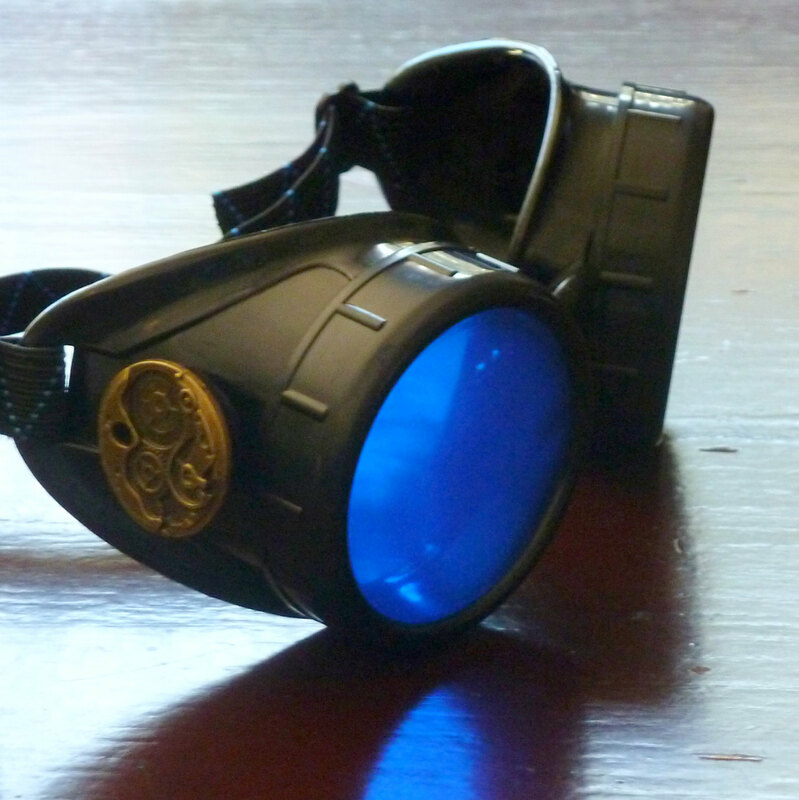 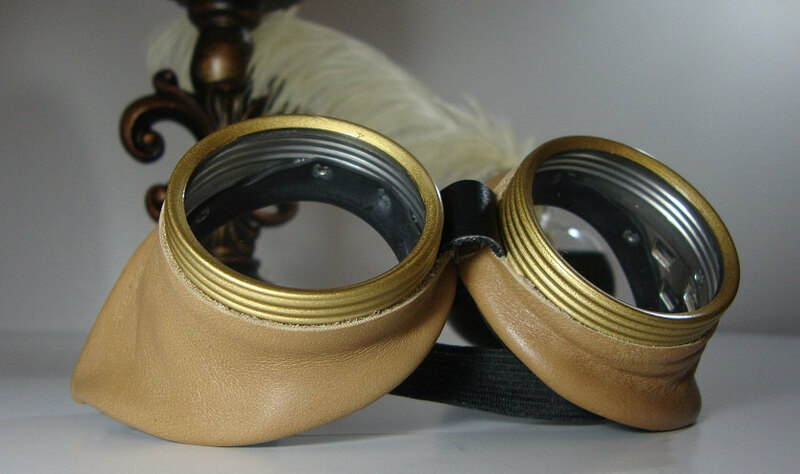 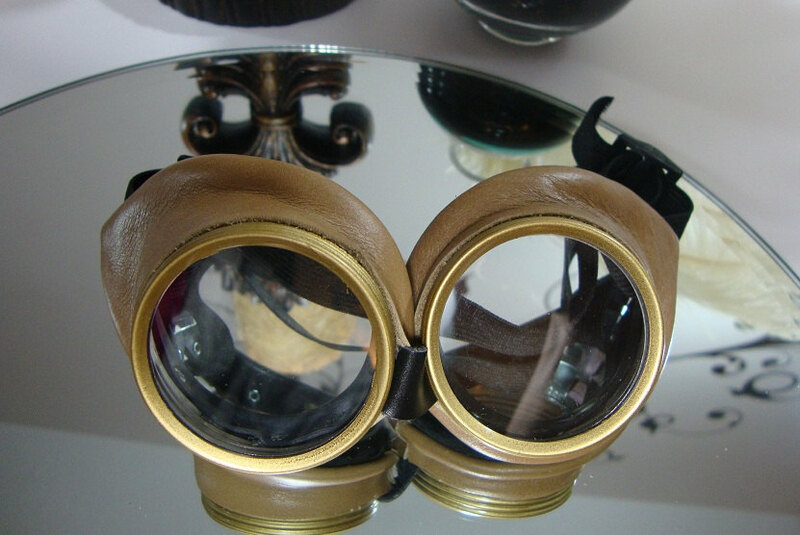 Be the first to review “Tan Leather Motorcycle Goggles” Click here to cancel reply.